The vocal repertoire of captive Glossophaga soricina is not fully described yet. Male courtship vocalizations and pup isolation calls have not been recorded so far. Echolocation calls are used for orientation and foraging. Glossophagine bats excel at object recognition by echolocation (von Helversen 2004). 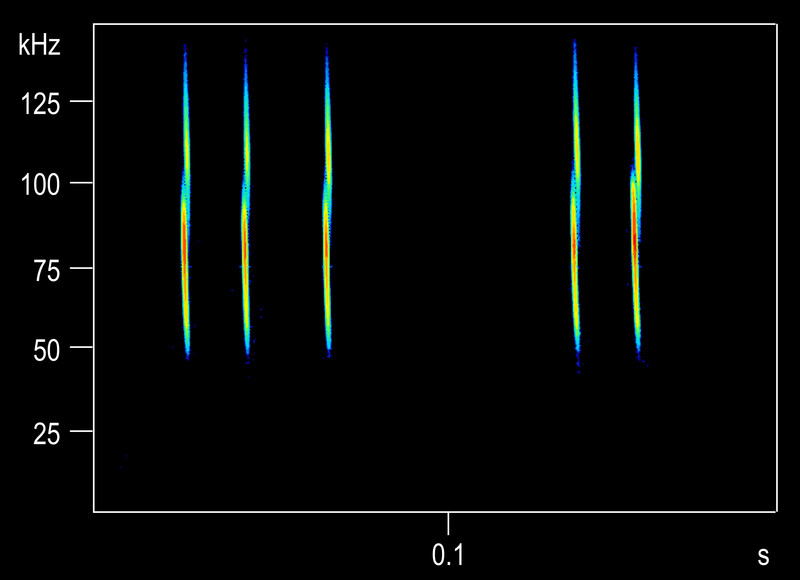 Echolocation calls of G. soricina (© Knörnschild). Both sexes produce alert calls when disturbed or when several conspecifics are circling the same location (e.g. day-roosts, feeding sites). Two types of alert calls exist (Knörnschild et al. 2010). Two alert call types of G. soricina (© Knörnschild). Males utter contact calls during affiliative tandem flights with females. Contact calls are always produced in series (Knörnschild et al. 2010). Contact calls of a male G. soricina (© Knörnschild). Both sexes utter aggressive trills during agressive encounters prior to physical contact between the opponents. Aggressive trills are always produced in series (Knörnschild et al. 2010). Aggressive trills of G. soricina (© Knörnschild). Individuals produce distress calls when being attacked by conspecifics. Distress calls are multisyllabic and consist of three different syllable types (Knörnschild et al. 2010). Distress call of G. soricina (© Knörnschild). Both sexes utter approach pulses when conspecifics are entering the day-roost. Approach pulses are always produced in series (Knörnschild et al. 2010). 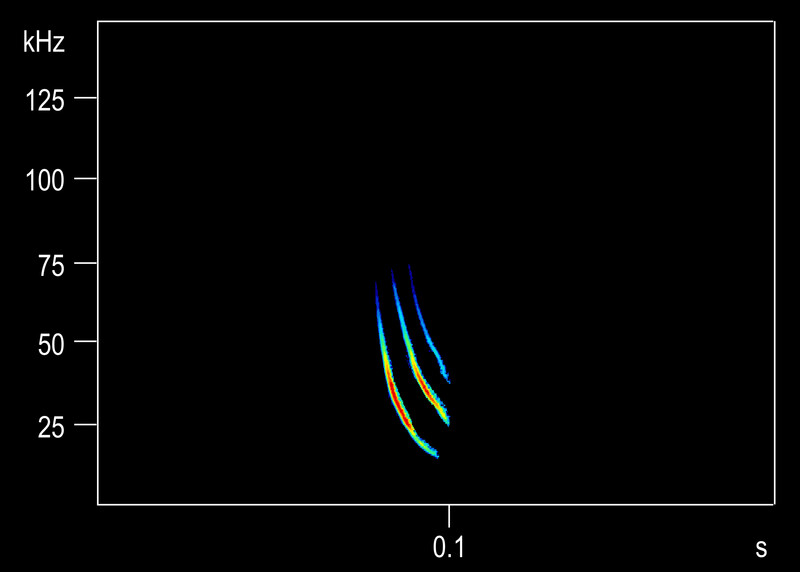 Approach pulses of G. soricina (© Knörnschild). Nine other vocalization types are described but the distinct social context in which they are uttered is unclear so far (Knörnschild et al. 2010). One vocalization type occurs frequently during tandem flights and chases but it is unknown which of the two bats is uttering it. 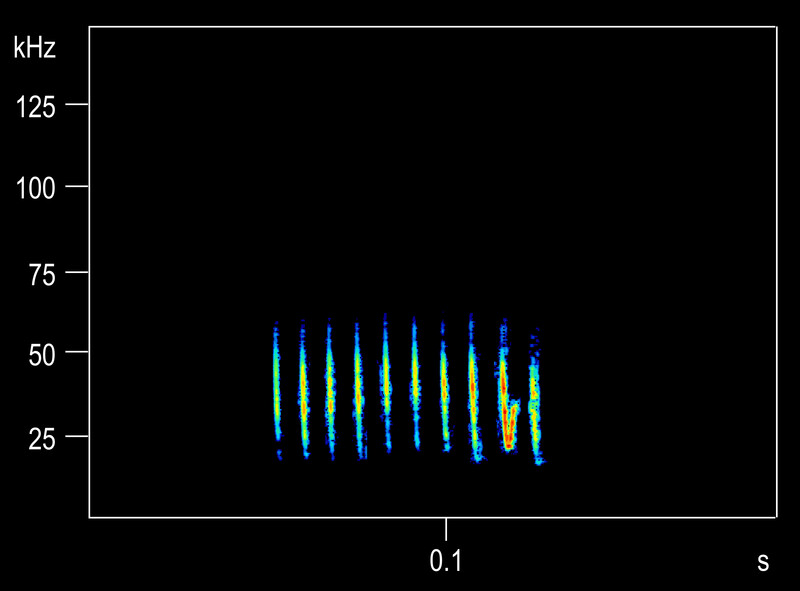 Vocalization type of G. soricina produced during chases (© Knörnschild). 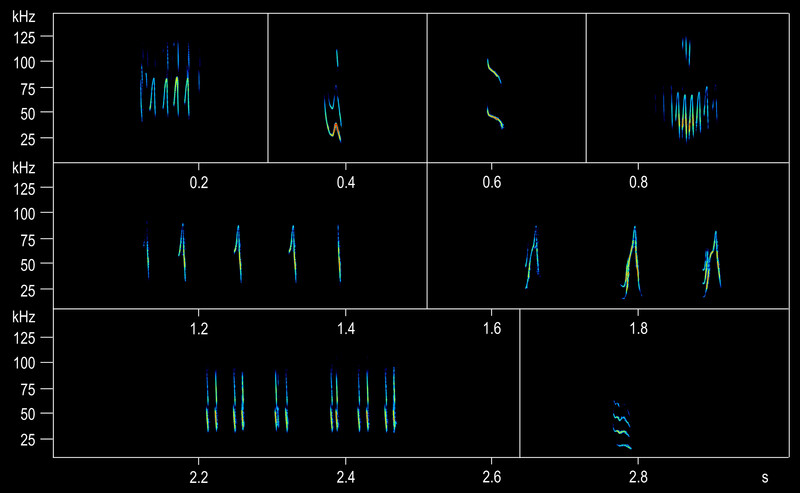 Eight vocalization types of G. soricina produced in unknown contexts (© Knörnschild). 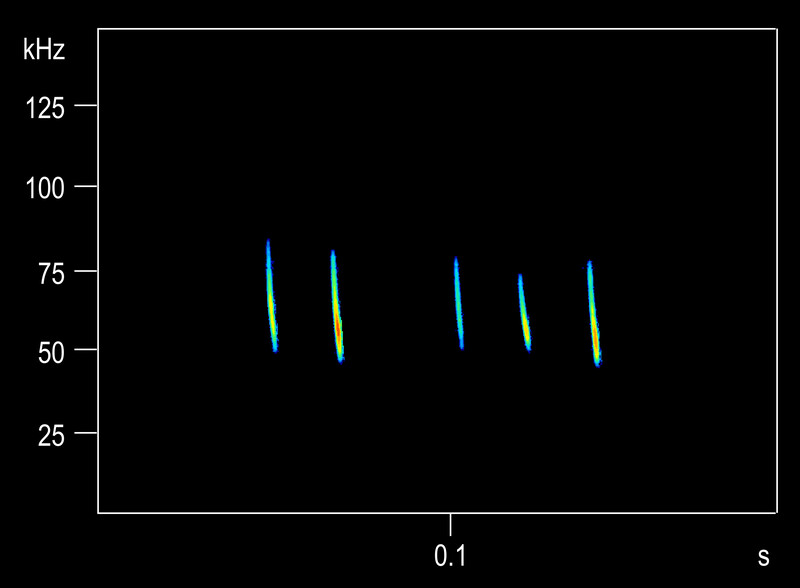 Sonograms depict frequency as a function of time (1,024-point fast Fourier transform, 100% frame size, Hamming window with 87.5% overlap).